It's overcast, sprinkling, and storms on the way in Alabama- but it's all good! All I need is a cup of coffee, a good book, and some Monday Made Its to read! 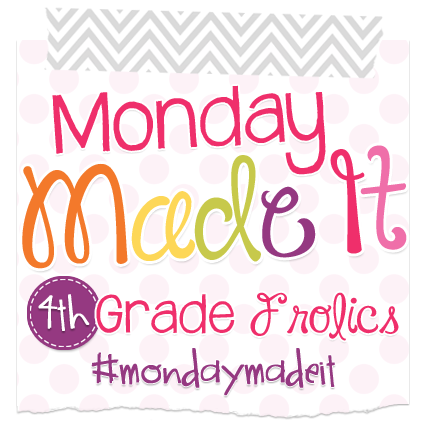 Linking up with Tara at 4th Grade Frolics to see how crafty we have been this past week! What has to be first is right in front of you!! I am loving it- a whole lot! This is my first post with the new format and stuff. She took my information and turned it into a very creative design. I helped her tweak some of the parts and change a few things. (I totally got rid of the owls I had used for so long! )We also made it a one sidebar blog which I think will make it look less busy. I am still working on the extra pages- they are blank right now! Well, last week I added social media icons to my blog and my Monday Made It was a video about how to do that. Hmmmm...then the next day I changed my blog completely! Ha! But I spent hours tracking down the way to do it. For some reason Link Within would not work with my blog and I spent a lot of time looking at videos and help topics until I found a way to do it. It's easy- should take you five minutes! Once you save your template and go back to your blog it should take about 30 seconds to suddenly start showing up! Awesome, right? Here's a link to Link Within to get you started! My last item I made this week came about after my daughter asked me what kinds of things she would need to start up her brand new classroom. Well, I started a list and then realized quickly that I needed help. I posed the question in the TpT forum and got tons of answers. The list of weird supplies grew and grew. Why do teachers need so much stuff? Anyway, after several days I compiled all the items into a categorized list which I posted to Google Drive and then someone suggested I make a free item at TpT. You can get this as a FREEBIE at my TpT store! 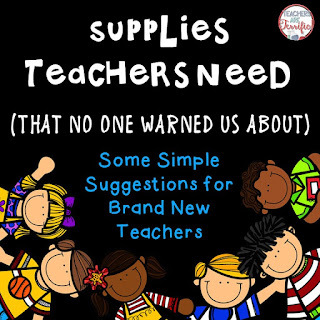 It is a suggested list of really odd and useful things teachers need to have- compiled with the experience of about 30 teachers! Click on the cover thumbnail to get a copy. It's a fun list- and if you can think of anything whack-a-doodle that we need to add, please let me know. I am sure we will need to publish revised versions occasionally. In the meantime, it may help newbies! 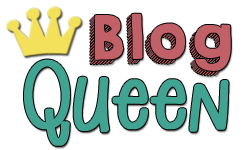 I ADORE your new blog!!!! Thank you for the tip and for the freebie too! Thanks so much! I am having fun with it! Love the new design and thanks for the tips! Thanks for stopping by! I am enjoying all the new things! Just need to get busy making those extra pages! Monday Made It and Monday Meet Me!